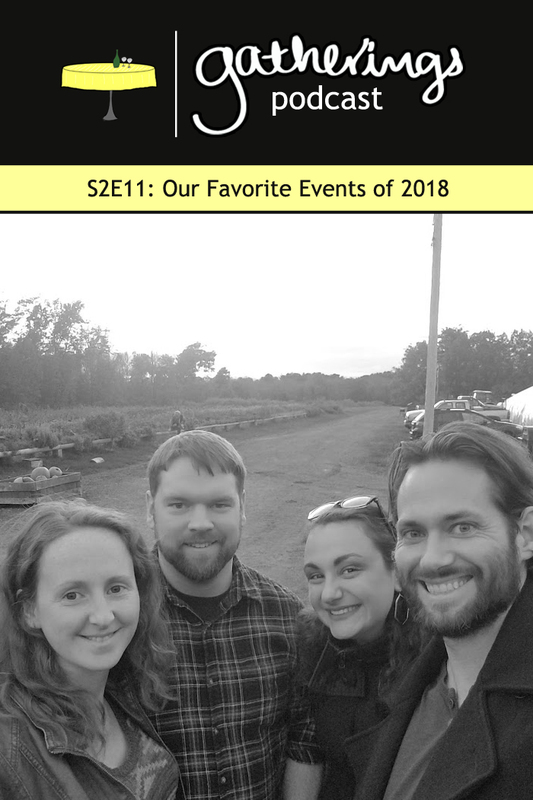 In the final episode of the season, we are talking about our favorite parties from the past year and some fun details about what made them so great! Then we veered off track a bit about renting houses with large groups. Chrystina: My 30th birthday party. We had a blast chatting about our own events in this episode but will be taking a break for a little while. If you are going to miss us and want to hear more please let us know, on twitter, facebook, or here, in the comments. Episode 10 is all about the kids. 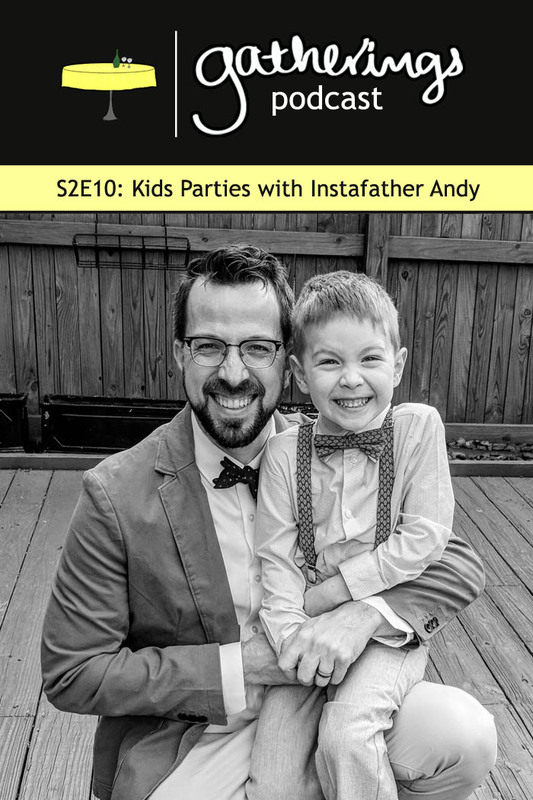 We spent some time chatting with Andy Shaw of Instafather.com about hosting kids parties, hosting a kid at an adult party, bringing kids to parties and more. 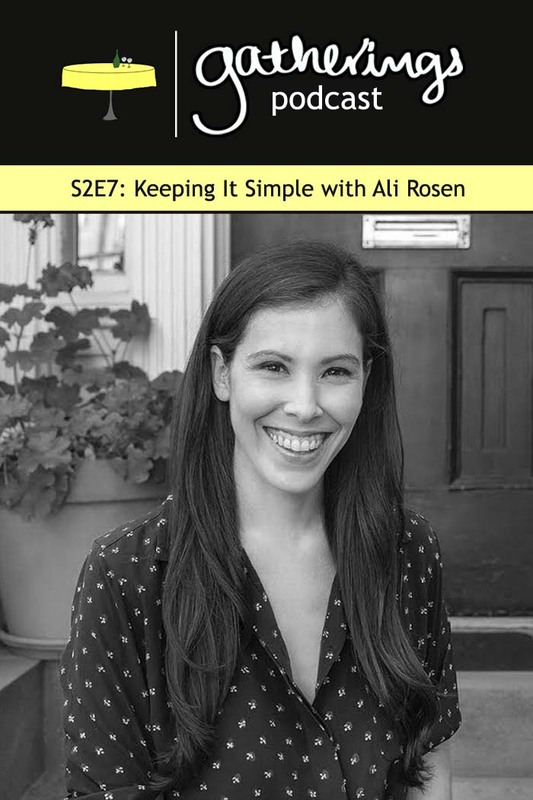 In this episode, there are a lot of great little tips for navigating the waters with little ones, whether they are yours or not. o When do parents stop coming? o How long are kids parties? · What are you planning right now? · How are you staying in touch? · What are you into right now? If you have any more tips or questions about throwing kids parties please get in touch with us! Nights to throw dinner parties aka "Tuesdays are Dumb"
Rico and Brendan planning to have a memorable dinner party because Rico doesn't actually have one to add to the list. Why didn't the lifeguard save the hippie? Knock knock. Who's there? To. To who? What's happening in your kitchen? Chrystina: Not doing so great. Brendan: Romaine hearts and Cate Le Bon's Are You With Me Now? 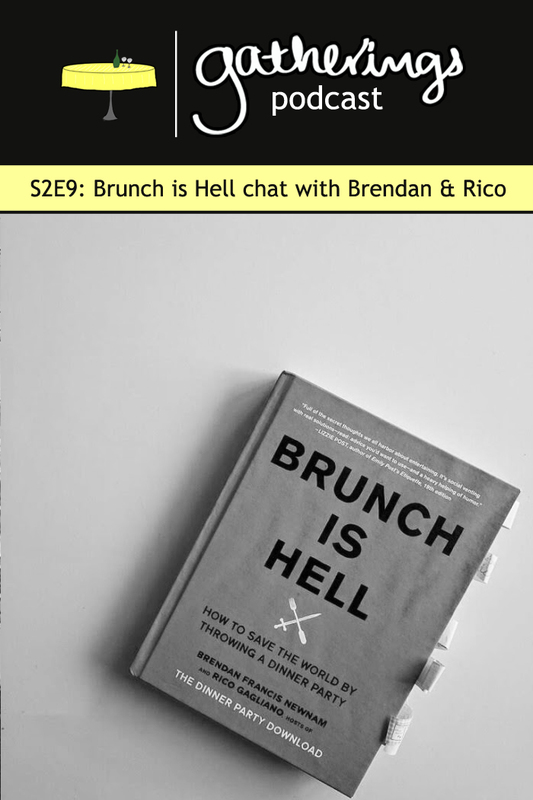 We hope you had as much fun with this episode as we did, and that you take Rico and Brendan up on their advice not to worry about things and just get a move on planning your own party. Let us know what you think! And don't forget, you can always find us on Facebook and Twitter. 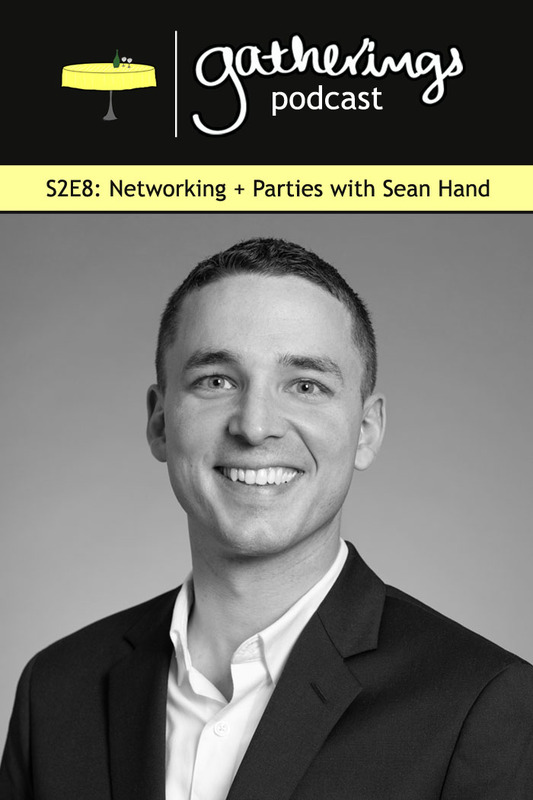 In Episode 8, we spoke with Sean Hand about networking, more specifically how to transfer the networking skills of the office to dinner parties, weddings, and more. In this episode, Sean shares a lot of great stories and tips on how to prepare for an event ahead of time. Not only that, but we talk about how to best utilize your plus ones at an event (and/or be the best plus one you can be). We're looking forward to sharing this episode with you all and hope you enjoy it as much as we did. Sean is the founder of a professional development website – AwkwardNetworker.com as well the Awkward Networker Podcast to help his global audience achieve networking success in their personal and professional lives. He has spoken to a wide range of audiences across the country and has been known to help improve the personal brand of thousands of people. Sean is a tireless advocate for young professional mentorship, with a passion for philanthropy, organizational development, and public speaking. He sits on multiple non-profit and professional organization boards, with many leadership and developmental roles therein. If you have any tips for dealing with awkward networking situations at parties, we'd love to hear about it. Don't hestitate to reach out, you can find us on Facebook and Twitter. 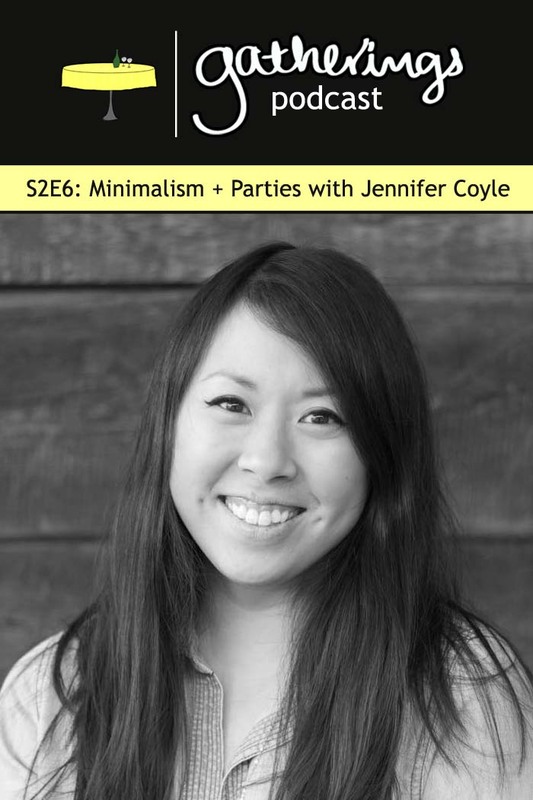 In Episode 6, we talk with Jennifer Coyle from Hello Brio about minimalism and party planning. We cover everything from food and drink to table settings, paper products, and more. We also have a detailed discussed about some of our favorite sustainable kitchen items. We all now have plenty of new ideas to make our kitchens more eco-friendly, and would love to hear some of the tips you're using in your kitchen too! Jennifer is the editor behind Hello Brio, a lifestyle blog dedicated to helping people create their own true happiness. 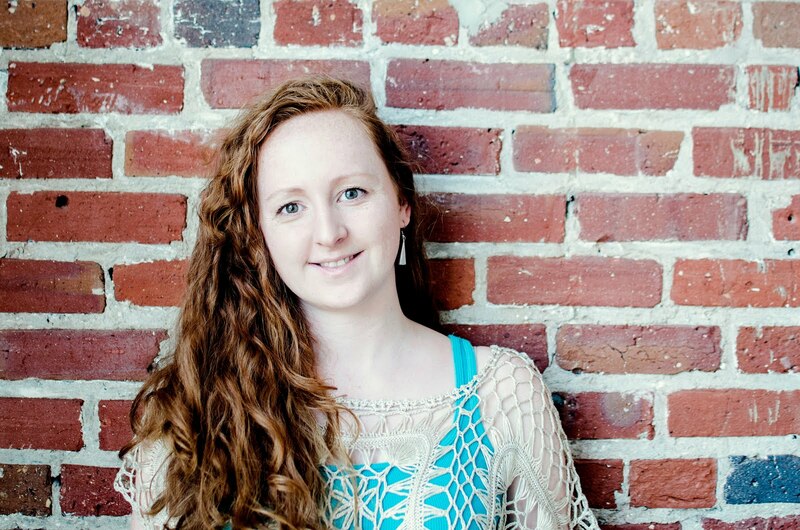 She believes in minimalism, mindfulness, intentional living, and nearo waste (near zero waste). 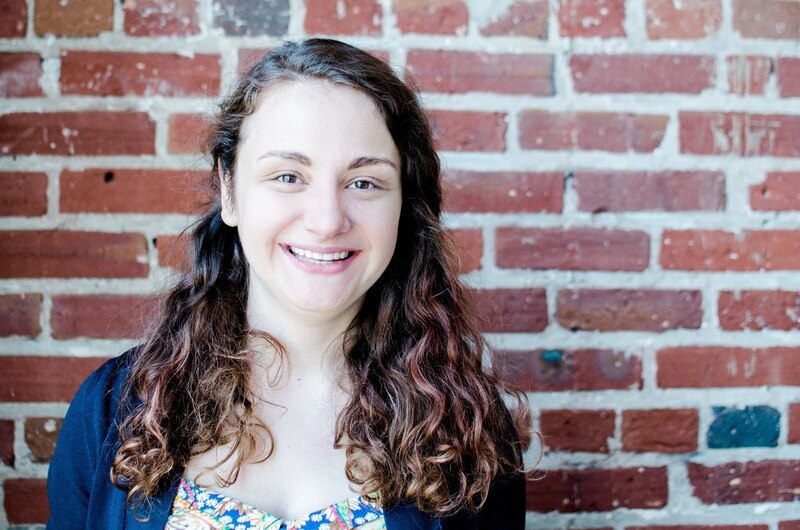 Jenn is a self-taught web developer, momma to baby Beans, hand lettering artist, and burrito lover. We'd love to hear your thoughts on minimalism and hosting parties, we're always looking for new tricks to add to our repertoire. Don't hesitate to reach out and find us on Facebook or Twitter. 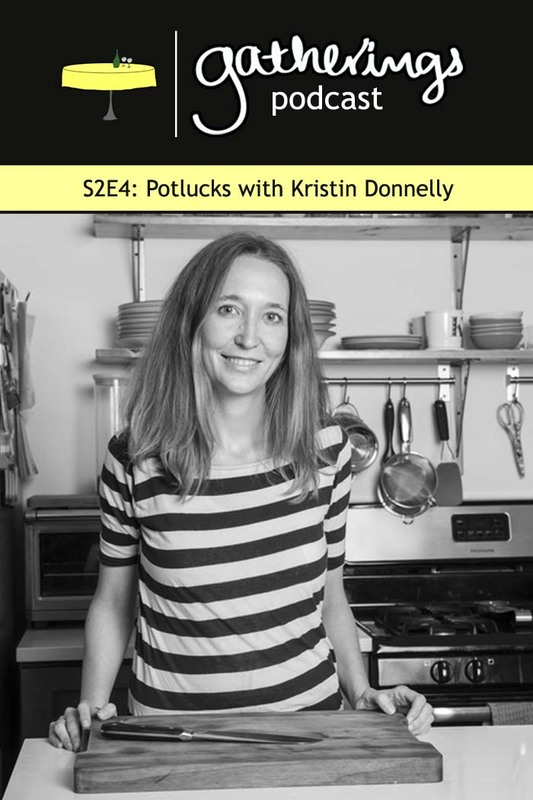 For Episode 4, we had the chance to chat with Kristin Donnelly, the author of the Modern Potluck cookbook, and her newest cookbook, Cauliflower. 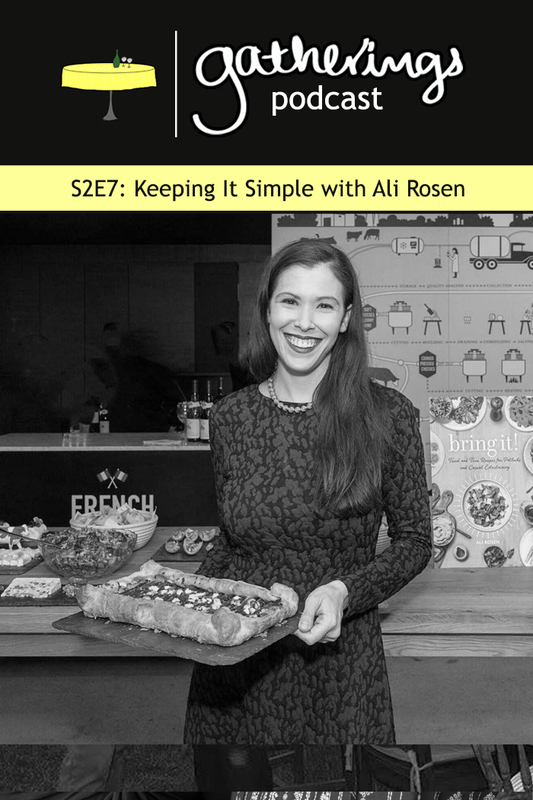 Throughout this episode we talk about Kristin's past career as a Food & Wine magazine food editor, the logistics of hosting potlucks, potluck tips for guests, and more. We definitely all hit it off and ended up on a few tangents including pyrex outlet stores and pig roasts. Hope you enjoy! Kristin: Stewart & Claire, Artemis Design Co.
We loved chatting with Kristin about potlucks (among other things). If you have any tips or questions about hosting potlucks, we'd love to hear them, don't hesitate to reach out and find us on Facebook or Twitter. Y'all are in for a treat today. 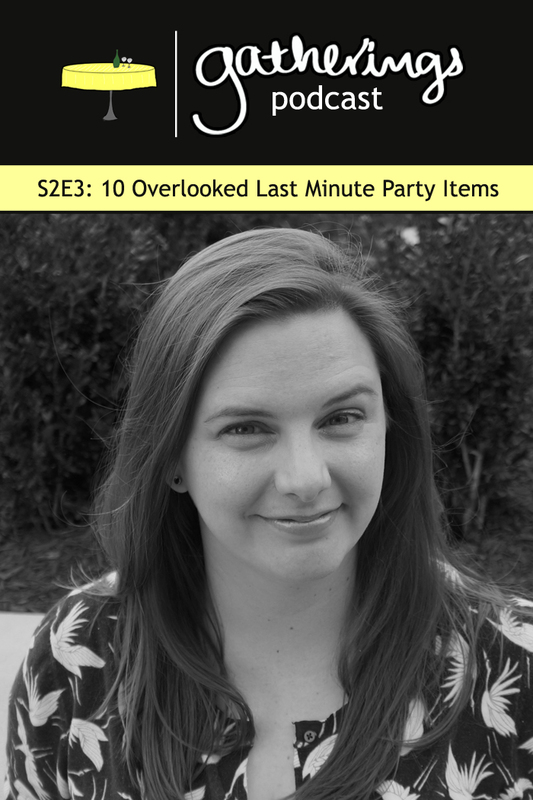 In Season 2, Episode 3 of Gatherings Podcast we sat down with Madeline from Where is the Damn Corkscrew about 10 overlooked party to-dos and went over her handy last minute party checklist. We each shared our own stories about times that things went well (and not so well) in each of these areas, and we're so excited to be sharing the list with you today! If you are interested in downloading Madeline's freebie, make sure to sign up for her VIP list here. Madeline is the founder and hostess-in-chief over at Where Is The Damn Corkscrew. She's a checklist champion, recovering people-pleaser, reformed perfectionist, and self-identified ambivert (half introvert, half extrovert). She spent years struggling with awkwardness, disorganization, and psychological barriers when hosting and attending parties and events. Despite those challenges she forged ahead into the abyss anyway, organizing and attending and professionally staffing events left and right, because she loves sharing quality time with friends and family. The struggle was worth it, event planning is now as natural as breathing, and she teaches her Sane Party Planning system over at Where Is The Damn Corkscrew to help ordinary people plan extraordinary parties and events in their personal lives - with sanity and budget intact. Jess: Bread and using green things! If you've ever run into any of the situations, or have anything else to add to the list, we'd love to hear about it, don't hesitate to reach out and find us on Facebook or Twitter. Episode 2 of Season 2 and we've decided it's time for us to get real with y'all. Even though we've been hosting parties for years, it doesn't mean that we're not affected by imposter syndrome. (Which, in case you didn't know is when you feel like a fraud while you're doing it.) For this discussion we've brought in Ana from Rosemary and Rye to bring her own insight to the discussion. She's the most positive person, and you're going to love her. 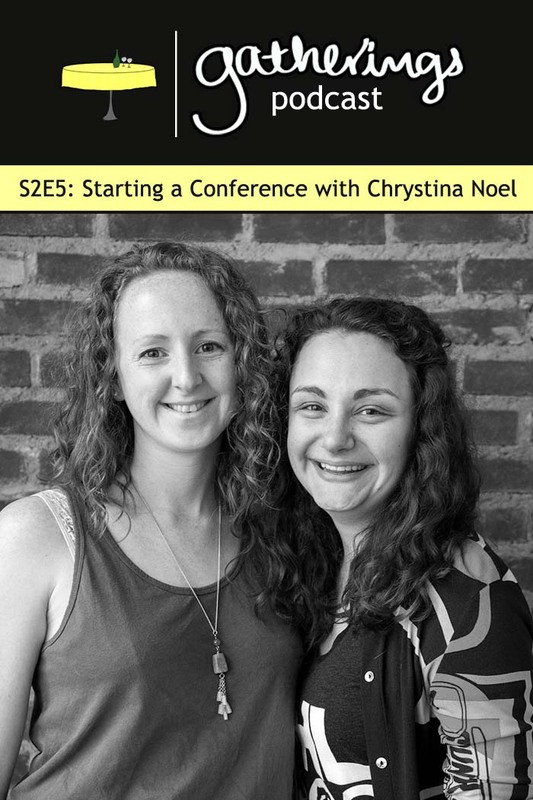 We're super excited to share the episode with you, enjoy! 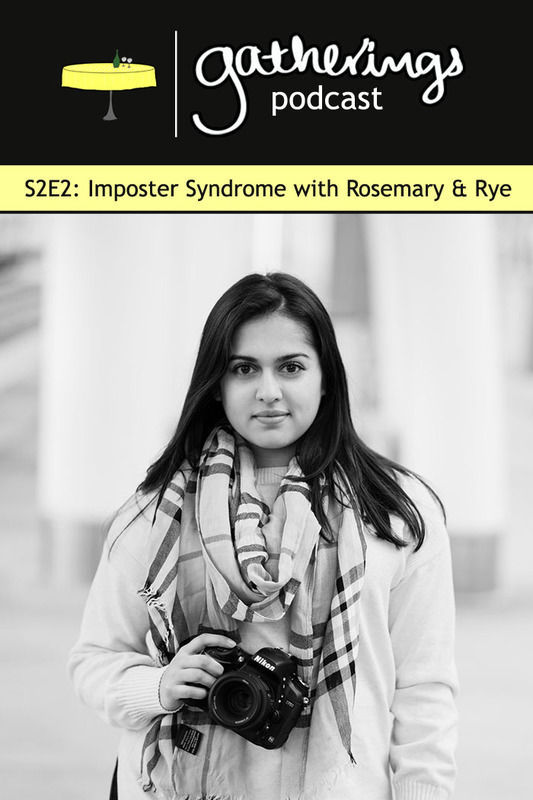 Ana is the self taught chef, photographer, baguette lover, and blogger behind Rosemary + Rye. She lives in the beautiful state of Colorado and, naturally, enjoys craft brews and kombucha. If she's not making a huge mess cooking in the kitchen, she can be found snuggling with her rescue pup, Harper; hiking; or sneaking bites of home made ice cream out of the freezer. We'd love to hear about any of your imposter syndrome situations. We're sure we've been there too. This hosting and entertaining thing is definitely a "we're all in this together" situation. And we're back, for Episode 1 of Season 2. During this episode, we got the chance to interview Joan Porambo and Kyle MacPherson from Field Notes, NY. 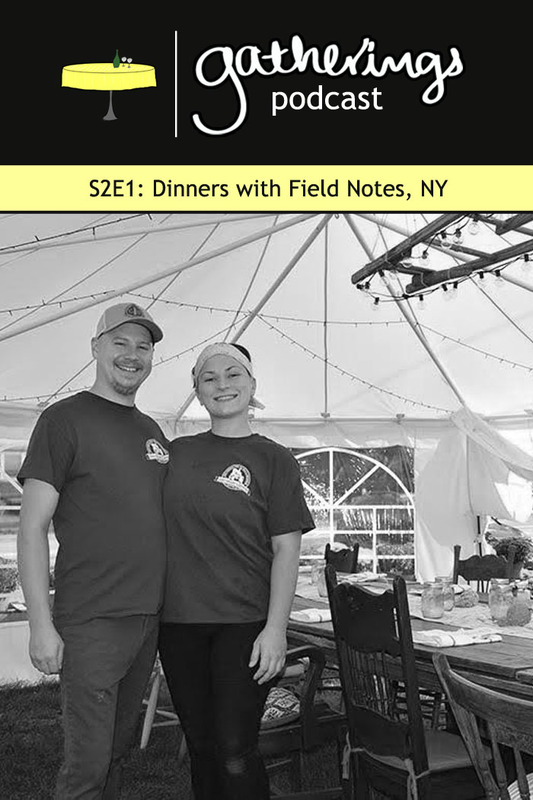 During this episode they talk about how they started hosting dinners at the Lansing Farm in upstate New York. We talk about food, timing when cooking for so many people, and the logistics of hosting outdoors. We also get an insider's look at the life of a chef, which was really cool! A little more about Joan and Kyle: We're two school and industry educated chefs who are looking to gain a better appreciation for where the food we cook with comes from, and who grows it. In order to evolve and learn, we've teamed up with the Lansing family to do dinners on the farm each week, using crops from the surrounding fields. We hope to better understand what goes into growing the produce we use everyday, by not only cooking with it, but also by being a part the process from beginning to end. We're so glad to be back for season 2 and we hope you loved this first episode. We've got a great season lined up and we're excited to share it with you. Happy 2018! During Episode 10 (double digits!) 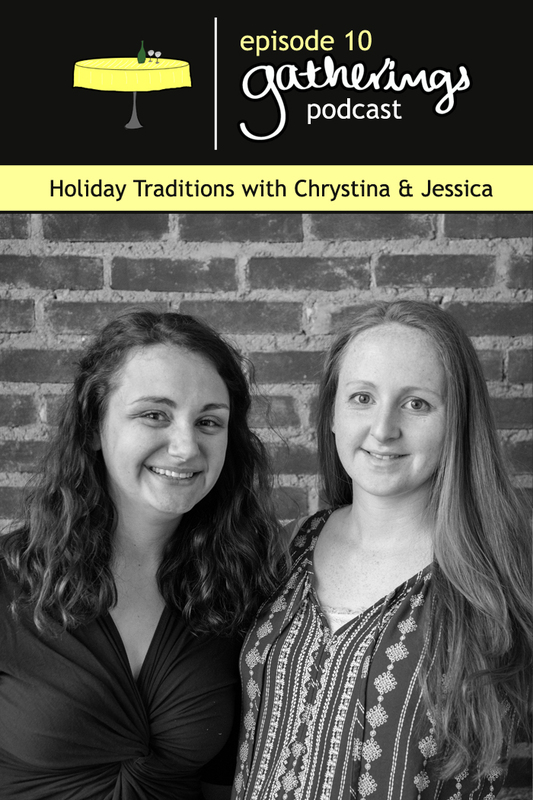 of Gatherings Podcast, Jessica and Chrystina talk about holiday traditions from Thanksgiving through New Year's Eve - and even touch on Valentine's Day. Thanks so much for joining us for the first season of Gatherings Podcast. We're excited to come back strong on February 1 with season 2. See you then! Vicki Miller is a long-time student and teacher of wine. She was a practicing attorney in Philadelphia for 16 years at a major U.S. firm and has studied wine for over 20 years. She is WSET Level 3 Wines & Spirits Certified. 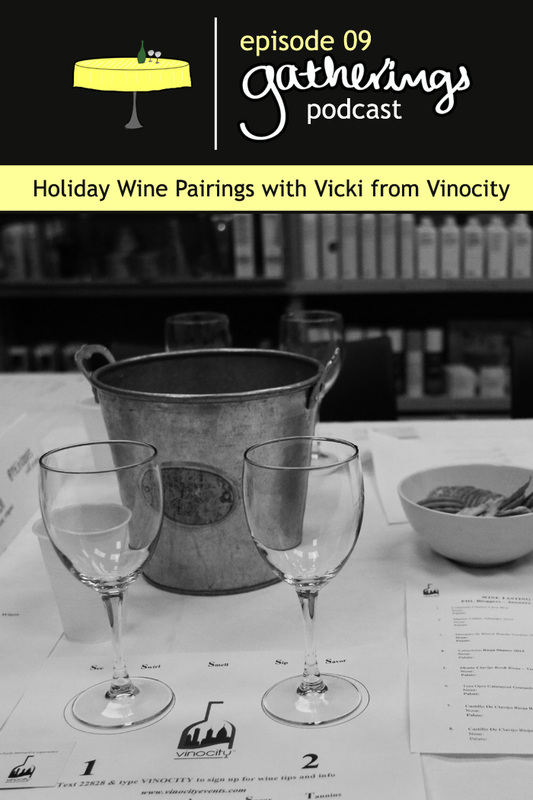 Five years ago Vicki founded Vinocity and began teaching about wine. Vinocity plans and hosts wine tasting events for corporate clients, non-profit institutions, and associations, but with a unique approach. Vinocity events combine the educational aspects of a wine course with the socially engaging aspects of a wine tasting with friends. These events tell the rich story of wine, from the grapes, to technology, to the natural perils that challenge the winemaker. Guests gain information they can use the next time they select a wine and a few stories they can tell at their next cocktail party. How do I save open bottles of wine? How do I pair wines with my menu? Should your wines be consistent through the meal? How much should you spend on wine? When should you take wine out of the fridge to serve? How do you chill wine really quickly? Are there any foods that you should avoid pairing with wine? What wines should you pair with spicy food? What's your favorite wine to bring to a party? Vicki: A birthday dinner party! We hope you learned something about wine from this conversation, and that it makes pairing wine for the holidays just a little bit easier this year. Stay tuned for our next episode in December!